One of the most frequently asked questions that I receive in the emails is – ‘Can I make a living trading stock?”. It’s a fascinating idea, right? Quitting your job and working from home trading stocks. No boss, no employee, no logistics, nothing. Just a laptop and an internet connection. So, can you make living trading stocks? The straight answer to this question is- YES, it is possible to make living trading stocks. I know a dozen of people who are making tons of money in their 20s by living in the well-fashioned flat in Mumbai and trading stocks. There is no entry barrier in this field. Anyone can enter and make living trading stocks. 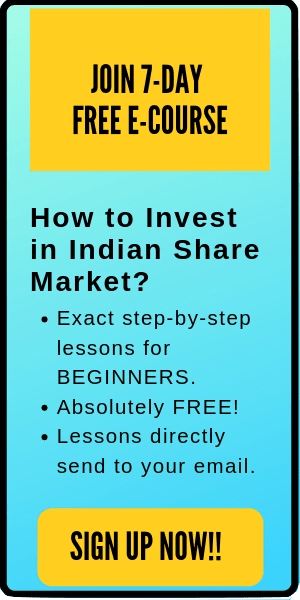 Even you don’t need any tremendous amount to start trading. You can leverage money from your brokers which means that you can control a significant amount of capital with a small investment. To make living trading stocks- all you need is a passion, desire to earn and energy. Also read: What is the difference between trading and investing here. But wait… This can’t be so simple, Can it? No!! There’s no shortcut in this world, my friend. Especially, not for an average person. Every year thousands of people quit their job to become a full-time trader. Few become successful and start living their dream life. But the majority of people ‘FAIL’. In reality, making living trading stocks in tough. It’s just like learning any other skill. A large number of people learn guitar or a few other musical instruments. Even many of them play pretty well. But making a successful living out of it or becoming a rock star is RARE. Only a minority of the people can do it. You need a specific skill set to become successful in any field- which requires thousands of hours of hard work in the back end. Similarly, to become a star trader- you will need to achieve a same level of excellence. Here, I’m not discouraging you, but just highlighting the reality. Anyways, if you are ready to put thousands of hours of efforts from your side- then you also become a successful full-time trader. 1. Do you have enough education? By education, I don’t mean a degree or qualification. What matters here is whether you have enough knowledge and experience of trading or not? If not, then first you might need to take some time reading books, enrolling in courses, attending webinars, or browsing the internet. 2. 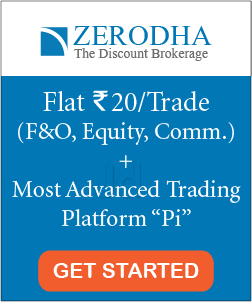 Do you have a sound trading methodology? Just because you did well in paper trading (virtual stock trading) doesn’t mean that you’ll do similar in the real-time scenario. You need a proven trading methodology (which should be tested over time). 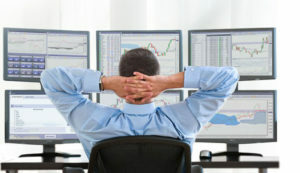 Without a sound trading strategy and risk management skills, it’s difficult to consistently make earnings from trading. Before you quit your job to trade stocks, master a trading methodology. Before quitting your job, make sure that you have an emergency fund of at least one year. Stock market trading involves market risks and if you are ready to dive-in completely, then having a backup fund can ease your life and reduce your stress in the difficult days. 4. Are you emotionally prepared? You know that you can’t win every trade, right? But are you ready for it emotionally? After quitting your job, you won’t receive a monthly paycheck. Your income will be based on the profits or losses on your trades. Before deciding to leave your day job to trade stocks, first- you should get emotionally ready. 5. Have you chosen the right option for you? There are multiple options available in the trading. For example- you can be an independent trader (day trading from home) or become a proprietary trader. Further, you can also trade in forex, currency market or commodities. The critical question here is- have you chosen a right option for you? Making a full-time living trading stocks requires a lot of hard work and efforts. However, this is not a rocket-science, and thousands of people are doing it. Therefore, it’s possible for you to quit your job to trade stocks. However, before making your decision to quit your job to trade stocks, you should find the answers to the questions discussed in this post. Anyways, once you have mastered the art of trading, you can build a lot of wealth and financial freedom. A successful full-time trader is his own boss and can work from anywhere.